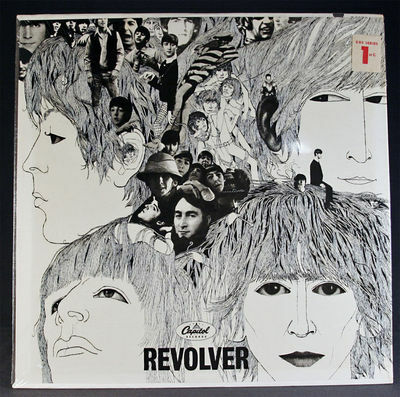 Extremely rare still sealed original mono US Revolver LP. It has solid seams and spine and four sharp corners. The shrink is solid and tight with only a small missing piece (half inch by quarter inch) near the upper left on the back. To avoid seam splits, it will be shipped in an oversized box with padding on four sides with insurance. See shipping cost. Additional information: The shrink has two breather holes on the front and two on the back. These are situated near the top. Also, I just noticed that there's a short split in the shrink at the opening near the top that is about one inch. The rest is tight.